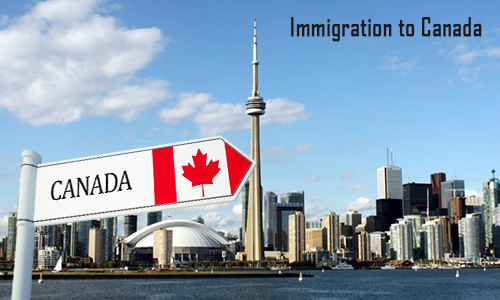 The right program for immigration to Canada for you would rely on your aims, your particular situation and your qualities. The federal and provincial governments of Canada continuously update their programs for making sure that the immigration to Canada becomes successful, both for the country and for the newcomers. There are presently over 60 programs that are available for immigration to Canada. For that reason, each one’s route to immigration to Canada would be unique. For instance, there are various categories for employees and professionals under which an individual may get qualify for their permanent visa under Canada immigration and that includes Quebec Skilled worker programs, PNP programs and Experience Class and Self employed programs of Canada. Canada also provides many programs under family class sponsorships, where the citizens and PR might sponsor their family members and dear ones for immigration to Canada. if anyone got post secondary qualification and want to migrate to Canada, then this country values its education and many programs like Skilled employee and PNP programs assigns points value to their education. Individuals who got work experience are deemed more likely to assimilate in the labor market of Canada. The experience would let the individual in becoming a key contributor to the economy of Canada. There are many programs like skilled worker and PNP programs that assign points value to their job experience. The programs promote job experience as a key asset, thereby raising the applicant’s prospects of immigration to Canada. If an individual got relatives residing in Canada, then they might get Canada PR under family class program. Moreover, having a relative who is residing in Canada might offer you a chance through PNP program that gives points for close link to a Canadian province. The programs like Experience Class and Quebec Experience Class gives permanent chances of immigration to Canada for people who had already worked there or who are presently doing job in Canada. These programs are also available to those who had currently completed their education or presently pursuing education in Canada. If anyone got money and seek to invest in the country then there are many immigration prospects that are available. Many provinces provide investment and business streams under PNP programs for this intention. These programs provide excellent chances of getting Canadian PR through entrepreneurship or investment.